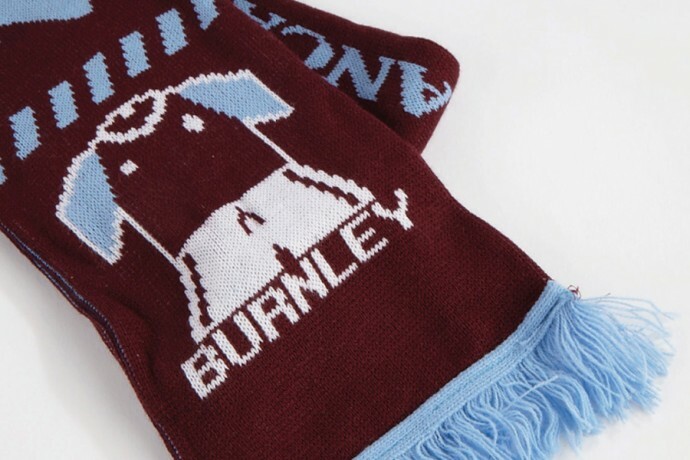 We can embroider your teams logo on a range of sweaters in sizes from junior to adult. 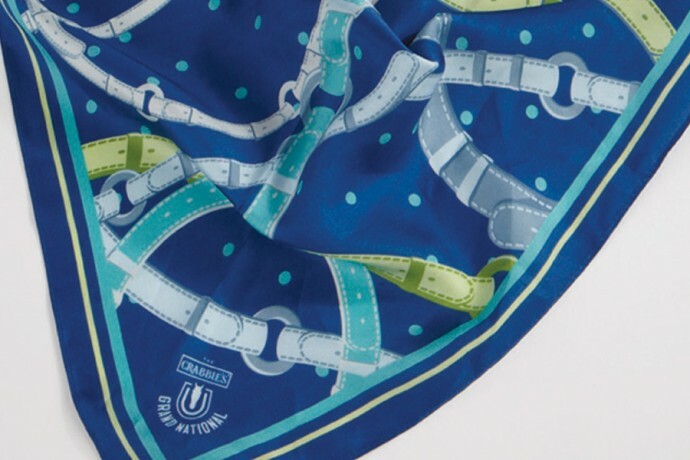 Also available is a selection of other sporting accessories such as umbrellas and hats customised with your logo. 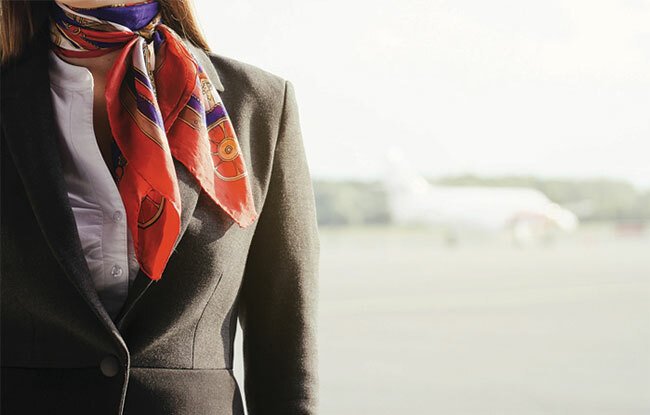 Expand on your corporate identity with your logo expertly printed on mugs, key fobs, neck ties and ladies scarves. All custom made to a high quality to meet your expectations. 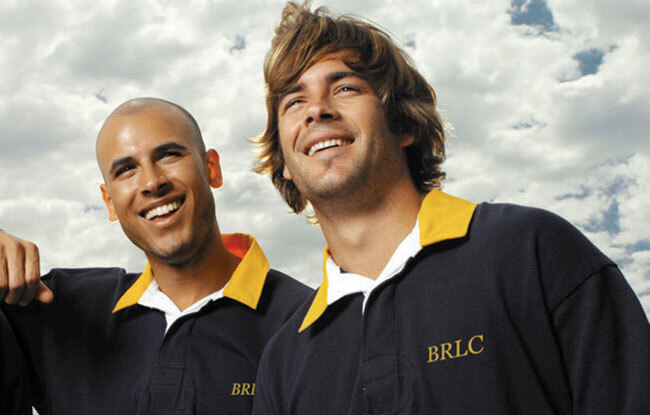 We have produced garments for a range of schools and colleges, embroidering your school logo design on polo shirts and sweaters. 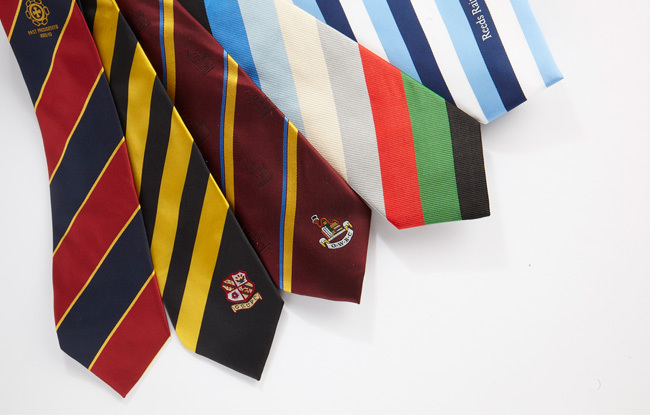 Scarves and sweaters can also be customised with your school sports teams. 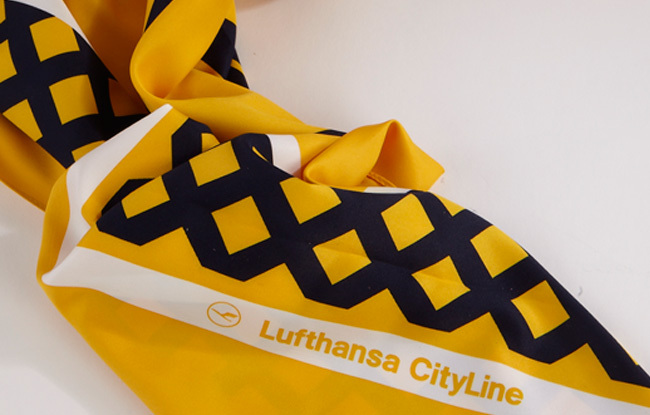 by creating the custom ties, embroidered badges, wooden plaques, scarves, metal enamelware, umbrellas or promotional products. 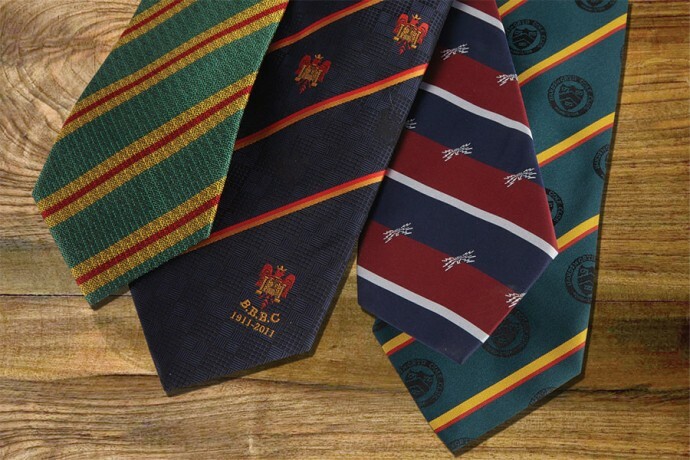 We produce ties for many well known organisations such as universities, schools, colleges and sports clubs. 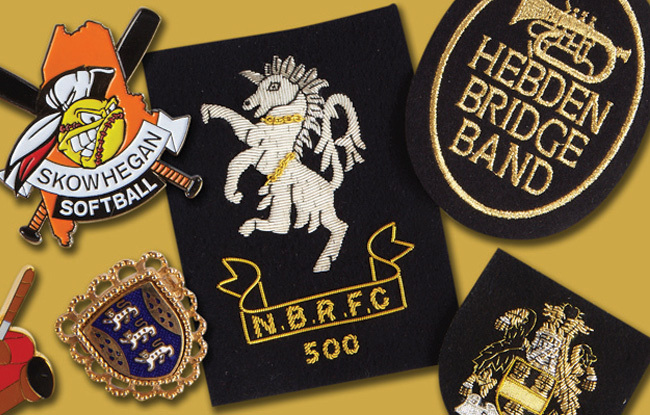 Our blazer badges are ideal for school uniforms or for your local community club or sports club. They are emroidered using your organisations logo or colours to a very high standard. 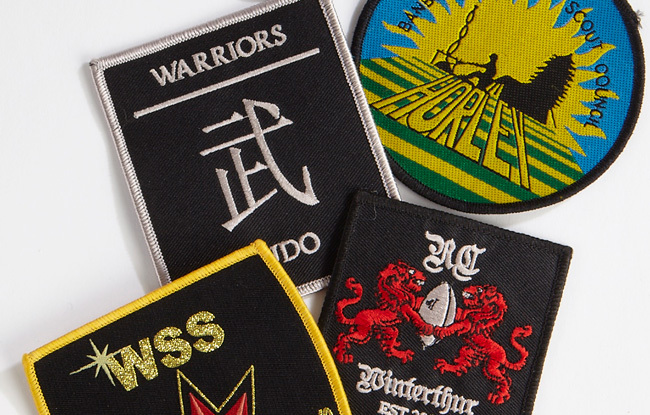 We produce four kinds of textile badges for caps – hand embroidered, machine embroidered, woven and screen printed. 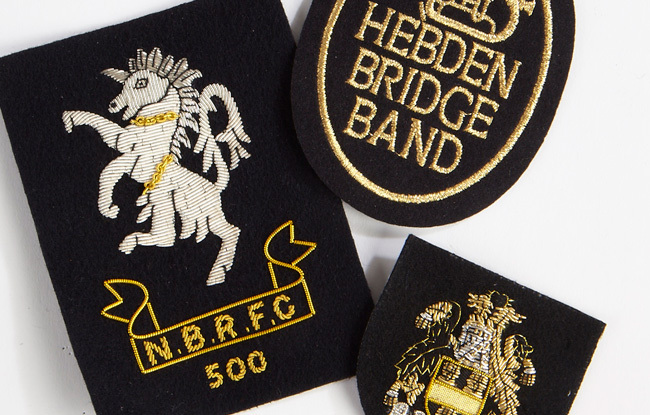 Hand embroidered badges are worked in gold or silver wire and silks with a minimum of just one badge. We provide sew on badges. They may be embroidered or printed.